I was excited to start my teaching career as an assistant teacher for a kindergarten class at a public charter school in DC. My first few months were wonderful. I had an amazing lead teacher. We worked perfectly together. It was like fate had made this happen. It didn’t last long. In October, things started to change. The other kindergarten assistant was let go, making me the assistant for two kindergarten classes. I had to spend half the day in one class and half the day in the other. This was stressful because the teachers were completely different. One teacher was proactive and the other burnt out. I would do what I had to do regardless of what happened in the different classrooms. Then, I was told I had to be a one on one teacher for a child that I felt was autistic. He had some of the same delays and signs as a few autistic children I worked with in the past. This was not only mentally draining, it was physically draining. I had to physically restrain the child from hurting himself or others. I had to chase him around the school because he would hit, scream, and yell if he did not like what was going on. One of the only things that kept him calm was the iPad. He received another one on one teacher that had more training and qualifications with children like him. I went back to floating between the two kindergartens. In January, I was told that the kindergartens were combining because we lost too many children to have two classrooms. My thoughts were “oh, I can be in one classroom. It will be simpler.” My job title changed to permanent substitute since they no longer needed me in kindergarten. I was put in the second grade classroom as my main room. I was there unless a teacher was out. I would cover the classrooms with absent teachers. What I came to find was how the second grade children were. While being in second grade for most of my time, I saw what a mess the children were. They were the most disrespectful children I have met in my life. I cannot put into words how hard it was working with these children. Don’t get me wrong they are some of the smartest second graders I have seen. The problem was we were not getting any help from the principal and behavioral management teacher. I was disrespected as a teacher in front of the children by other staff and nothing was done. The other staff were showing the children that it is okay to disrespect others by disrespecting co-workers. The children had no real consequences for their actions. What would get you suspended from a public school was considered “okay” here. I came home every night exhausted. All I wanted to do was watch movies and lay in bed. I mentally, physically, and emotionally put to much into work I couldn’t do much once I got home. I should have told my principal I wouldn’t work with second grade or quit. I thought about quitting multiple times during the month of January and February. I finally realized I had to leave when I was unable to use the bathroom for two weeks. I tried different laxatives and natural options to help me go. Nothing worked. I went to the hospital because the pain was too painful to handle. The medicine they gave me did nothing. My fiance found a colon hydro therapy place that helped people with bowel issues. I made an appointment that afternoon. The treatment was the only way I could use the bathroom. I saw him for a total of 95 minutes over two days. I realized I couldn’t go to the bathroom because I was holding on to the stress at work. As soon as I started looking for another job, my bowels started moving. I wasn’t going to quit my job without having another one. I made it exactly two weeks before I quit without a job. One of the things that I have learned on this journey of finding myself is that I have to do what’s best for me. I had an extremely hard day. As soon as I could, I called my fiance. I told him what happened and that I was quitting. I had some money saved up, although I wanted to make sure we would be okay if I didn’t get a job before the savings ran out. He assured me we would be fine and I should do what’s best for me. That was my last day there. For the next few weeks, I went through what I call detox. I had to emotionally, physically, and mentally let go of the trauma that occurred while working there. While working through the thoughts and ideas I had about myself, I went on nanny interviews. I thought being a nanny again was the perfect job for me. I thought I would never teach because I was horrible. Being a nanny would give me the freedom I could never get in a school. I went on multiple interviews having some success. The offers were not perfect in one way or another. I wasn’t going to sell my self short and take the first job I could. I wanted this job to be the right choice. I wanted to connect with my heart and follow my path. I went over all my options. I thought I could move to NYC to be a nanny for a high profile family. I thought I could get a job as a para-educator in the county schools. I thought I could go back to school and get my masters. I had so many options. None of them seemed right until I found a teaching English as a foreign language course in Costa Rica. 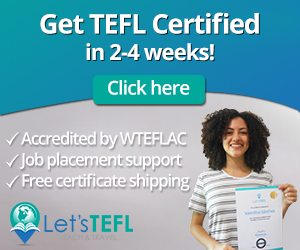 I found the International TEFL Academy while searching for jobs abroad. The website was user friendly. It had articles for teaching living abroad, alumni experiences, and job search guidance. I did some research on my own about the cost of living, and life in Costa Rica last year when I visited for spring break. It was possible for me make the move happen. All I had to do was figure out some small details that were answered quickly by the advisor at the academy. My fiance, Jon and I spoke about what our relationship would be like if I move away for up to six months. We talked about whether or not I was running away from my problems and if this really was my heart telling me to go for it. I can now saw that moving to Costa Rica for an unknown amount of time is the best option. 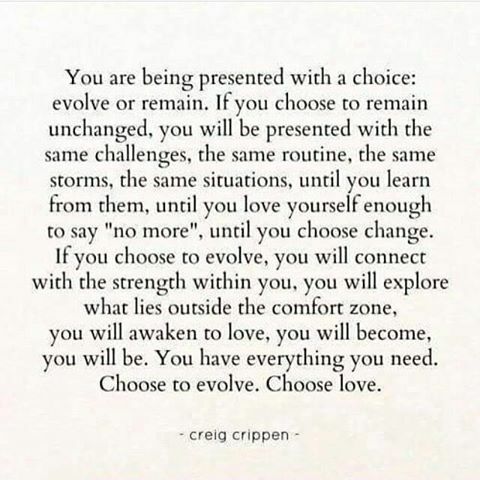 I made the choice and everything has been falling into place. Things are transforming in ways I never knew they could. Relationships are more than what they were. My relationship with myself is back to what I know. Life is more vibrant. I hope to share this move abroad with you, all the ups and downs. There will be some trials of learning a new language, being somewhere without family and friend, and finding my passion for teaching again. There will be some excited times of friends visiting, being able to explore the amazing Costa Rica, and living out my spiritual path. Here is a quote that I found inspiring during the process of choosing Costa Rica. Enjoy.